Mayor Harry Rilling, at Tuesday’s Norwalk Common Council meeting in City Hall. Updated, 1:33 p.m.: Clarification, David Davidson spoke as a citizen. NORWALK, Conn. – Norwalk Common Council members on Tuesday stood behind the City’s massive investment in school renovations and new construction, over the objections of one citizen. David Davidson warned, as Tuesday’s Council meeting began, that while the school program has “overwhelming support” from citizens it’s going to increase the city’s debt and is “starving” the City’s transportation and recreational budgets. Council members later lauded the proposed $52.5 million capital budget as reflective of Norwalk’s priorities, including parks and paving, and then approved the plan. Davidson is a Planning Commissioner, but addressed the council as a citizen. He said he “shudders” to hear that the Board of Education is overbudget for its school projects, but Mayor Harry Rilling expressed confidence that the budget shortfalls will be worked out. Norwalk Public Schools is at least $18 million short in its plans for school construction, in spite of an additional $20 million planned in the capital budget, Board of Education Chairman Mike Barbis said at the March 25 BoE Facilities Committee meeting. The budget includes $23.5 million for school construction, including $9 million for the Jefferson Elementary renovation, $9 million for the Chestnut Street school renovation and $2.67 million for facilities improvements. The City is ignoring the needs of its young people by not focusing on parks, Davidson said. Davidson is something of an outlier on the Planning Commission; his opposition to the school construction resulted in combative conversations at the Feb. 19 Commission meeting, where no one agreed with his sentiments. In addition to the school investments, there’s $5 million for street paving and nearly $1 million for sidewalks, he said, which exceeds the $4 million that Stamford is spending on paving. “As someone with their children in the leagues, in various leagues around the city, I am very proud of this,” Kydes said. “I think this is a very good budget. It keeps the city really moving forward in a positive way,” Common Council President Tom Livingston (D-District E) said. The softball field money is a “a small item but it shows that the commitment of the city to athletic fields throughout the city,” he said. “I don’t think that anybody here considers themselves a rubber stamp but I think that one of the things I look at for any government, you can tell their priorities by where they spend their money,” Council member Colin Hosten (D-At Large) said. Hosten noted money for stormwater drainage, schools and the library. The school numbers “could be very overwhelming,” Finance Committee Chairman Greg Burnett (D-At Large) said, emphasizing that Livingston’s Land Use and Building Management Committee scrutinizes the numbers every month. “We are well aware of the cost, how money is being spent… there is a level of confidence as we look at these projects and how they are progressing,” Burnett said. The budget shortfalls are disappointing, Hempstead said. “I understand the strain on the budget with that, but I think investing in our schools … is the right way to go and not the wrong way to go, because at the end of the day, that increases our values, of our homes and our quality of life in the city of Norwalk,” he said. 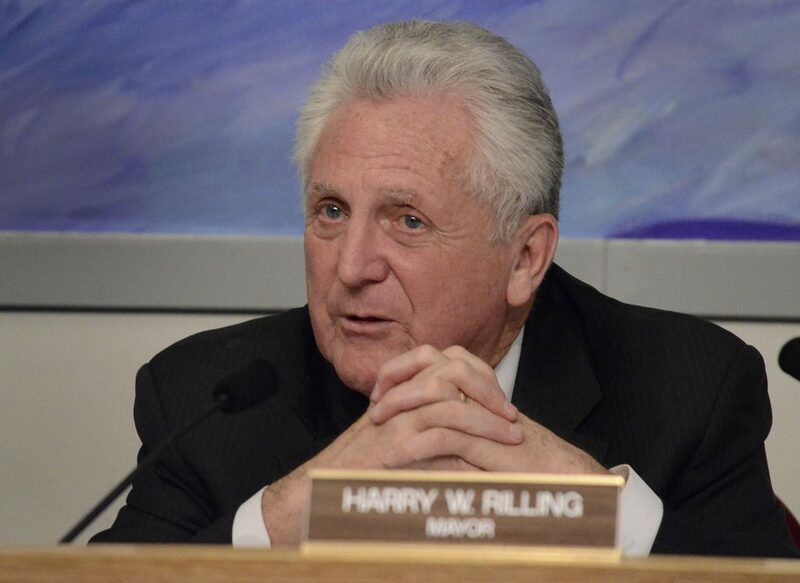 “I think that we put together a budget that not only works on our schools, but if you look at historically, what we have done for the recreational fields and recreational programs throughout the city, most people would be amazed,” Rilling said. Rilling, after the meeting, said he’s been working with Norwalk Superintendent of Schools Steven Adamowski and Norwalk Public Schools Chief Financial Officer Thomas Hamilton “to figure out where we can make some adjustments and changes,” given the shortfalls. “We feel that the impact is not going to be as significant as initially thought but we will wait to see,” he said. Barbis on March 25 suggested that it might be better to build a new school at Cranbury rather than renovate the existing building. Adamowski just met with the Cranbury School Governance Council, Rilling said Tuesday. With City officials encouraging more renters, now 40% up from 30%, Norwalk is becoming a “renters City” with increasing demands on its public school budgets that are increasingly financed by remaining homeowners facing both ever more punitive taxes and property declines that are plaguing CT itself. Bridgeport is 60% renters so we know our future – an ever more transient City where few can afford retire and even City employees live outside the City for well known reasons. As long as City officials encourage more renters no amount of City funding will satisfy both school operating and capital budgets. And the disparity between our City’s public schools and the surrounding stable wealthy towns will become ever larger. That’s not a strategy for “long term success” for Norwalk’s future. . Call me crazy but this process seems backwards. In short: it sounds like Rilling thinks there is unspent money but no one has quantified, yet it will offset a huge shortfall of money that Barbis has quantified. In long: Norwalk Public Schools is at least $18 million short in its plans for school construction, in spite of an additional $20 million planned in the capital budget, Board of Education Chairman Mike Barbis said at the March 25 BoE Facilities Committee meeting. “We are short on every front,” Barbis said. Why can’t the scholars in the room say “I am voting no because we only have 1/2 the information. We know the expenses, we do not know the revenue aka the money Rilling might find”. $1.5 million for the West Rocks soccer complex? Okay. I guess. Seems like a lot to me. Nancy SHOULD HAVE INCLUDED THAT IN HER REPORTING. By referring to me as a Planning Commission member, without that reference was misleading. Not only do you say the same factless things over and over, but you are lost. There is real data available on apartments in Norwalk and the effect on the school enrollment population. You get less than 50 children added for every 1000 apartments. Each apartment pays on average $4k per year in real estate taxes. So, let me get out my abacus so you understand. 1000 x $4000 = $4 million in real estate taxes generated. 50 students x the $20,000 per year it costs for a student = $1 million. $4 million minus $1 million = $3 million net positive. You are supposed to be some kind of economics or finance guy from what I here. The numbers do not get any more simple or truthful than this. Another nice try but you are living in an alternative era. You just do not understand today’s demographics and refuse to accept that most people 35 and under not only want to live in apartments but are also not interested in owning a home. You should accept the world around you instead of trying to convince yourself and others that times have not changed. And I am sure you will try and deflect and spin these obvious facts, but no matter what you do or say, 4 minus 1 will always be 3. I understood the first sentence as describing you as a citizen. Perhaps others could read it differently. For avoidance of doubt I’ve added a clarification. Oldtimers recall there’s a long history on providing capital funding for City schools. Both for repairing and building new ones. By and large over many deades City homeowners preferred low City operating and capital budgets keeping property taxes sufficient modest as to encourage long periods of appreciating property values and influx of new homeowners. Those conditions were deemed essential to maintain Norwalk as a viable community attractive to both retirees and newcomers. We’re now at a point where its broadly (but not universally) recognized that our schools need major capital funding improvements. But property tax levels and stagnant/falling property levels restrain major new schools funding. Whether the demands of the school oriented residents overcome the demands of homeowners for affordable City services/property taxes remains unknown. But its a good guess the City school capital budget will remain well below expectations. And the physical disparity between the attractive modern schools of our surrounding wealthy towns and Norwalk will grow over time. However, there is a “consolation”. City school salaries remain competitive with surrounding towns. Old timers remember when that wasn’t the case. At day’s end City homeowners have voted over the decades for funding school operations parity. Not parity in physical school structures. And that disparity is likely to continue. Norwalk’s public schools have long performed well below surrounding towns, our physical school buildings are outdated but we do match surrounding town competitor salaries. Many, if not most, would claim those were the correct decisions made over the years. So if I understand your “argument” renters pay far more than their share of City services. In which case, if true, the recent incrase from 30% to 40% of renters ought to have had very major positive effects on both the City’s budget and taxes levied on hard pressed City owners. In which case cities like Bridgeport with 60% renters ought have especially favorable budgets. And there is every reason to support our Mayor’s efforts to further increase the proportion of renters in our fair City. You might want to look at the importance of rising depreciation claimed by major apartment owners as cause for reducing their City property taxes over time. And you might want to look at the reported major increase in renters of illegal apartments in formerly single family housing. Clearly renters of illegal apartments in formerly single family homes are not paying more in taxes than requiring for City services. Finally, if we look at those CT towns and cities that have comfortable City budgets and property taxes deemed affordable we find they have rather small populations of renters. The broad evidence across CTs 169 towns and cities suggests that high rates renters is associated with financially troubled and distressed towns and cities. So if “more renters” is a panacea for healthier and more affordable City budgets then one must ask why other towns and cities are not following the “Norwalk example”. And one ought ask how did Norwalk in its heyday decades ago as an especially attractive City earn its reputation with such a modest proportion of renters. One suspects most City homeowners do not regard our sharply incrasing share of renters as “positive”. Quite the contrary. And for good reasons. – the last new school we built was Jefferson School in 1976–43 years ago! “school buildings have a 20 year life”? Really? No Jake most people living outside the big cities (NYC, Chicago, L.A. etc) don’t want to live in apartments. The only people I’ve ever known who preferred renting over buying were those folks who knew they’d soon be moving elsewhere i.e. transients. And regarding property tax on the apartments, if the Grand List is flat again after all the Appeals are settled, then you will be proven wrong on that score as well. @Jake – you could be on to something.